Let me start by telling you a little story. It should come as no surprise that when I was deciding where to move, I had to have a city with every major sports team. I had narrowed my two choices down to Chicago or Dallas, and decided I'd go to whichever city I found a job first. 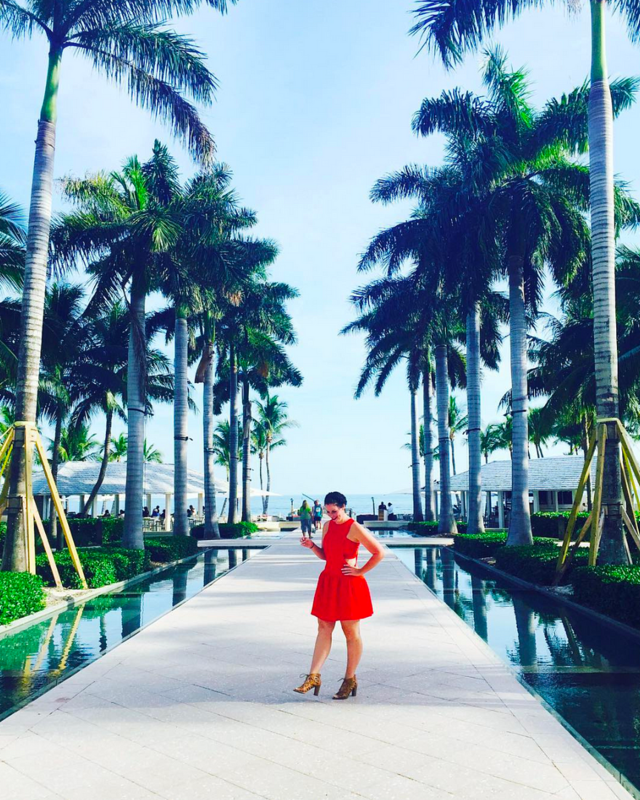 I got incredibly lucky when my current company paid to fly me in for an interview, then hired me on the spot. It was amazing, and a few weeks later I was Dallas bound. I was already a huge Cowboys fan, but it took all of 2 seconds for me to jump right on the Mavs, Rangers and Stars super mega fan bus. Some life-long fans might judge me for that, but I personally see nothing wrong with it. I was a Dallas resident and that's what you do, you root root root for the home team. Just like any fan does, I began to develop a favorite player on each team. 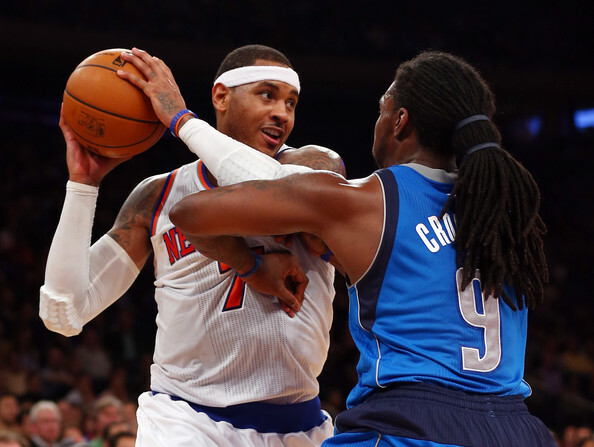 My choice for favorite player on the Mavs was a little different from most: Jae Crowder. Jae wasn't even a starter for the Mavs, but his attitude won me over immediately. When Jae was on the court, everyone played with more hustle and passion. His role was to amp everyone up, including the fans. Well, last season, the Mavs released a new Jae Crowder shirt that had his dreads ON the back of the shirt. I thought it was SO cool and I had to have it. Plus, I was pretty sure that I would be the ONLY person to own that shirt. The problem? Well it was nearly $50 for a t-shirt (*Macklemore Voice). I thought about buying that shirt for weeks. 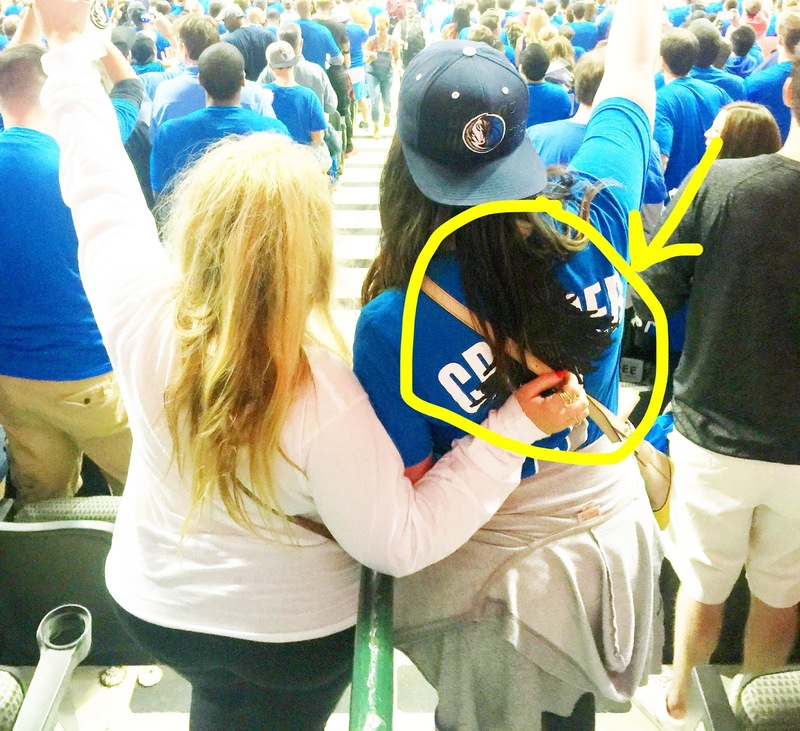 I went to several Mavs and Stars games during that time (they share the same arena), and would go check on the shirt to make sure it was still there. On my birthday, after deliberating on it for literally weeks, I broke down and treated myself to the shirt. It was my birthday after all, I deserved it. The sheer amount of glee on my face at the register was priceless, I was so excited it was finally mine. I brightened this picture of me and Helene way up in hopes that you can see how cool this shirt is with his dreads printed on the back. The next day... and I do mean THE VERY NEXT DAY AFTER WEEKS OF DELIBERATING ABOUT BUYING THAT SHIRT ... Jae Crowder was traded to the Boston Celtics. THE NEXT DAY, people. WTF. That story is still one of CB's favorites to tell, and while I now do find it comical, I was PISSED. Needless to say, I'm now very gun-shy on buying a jersey with a player's name on it. 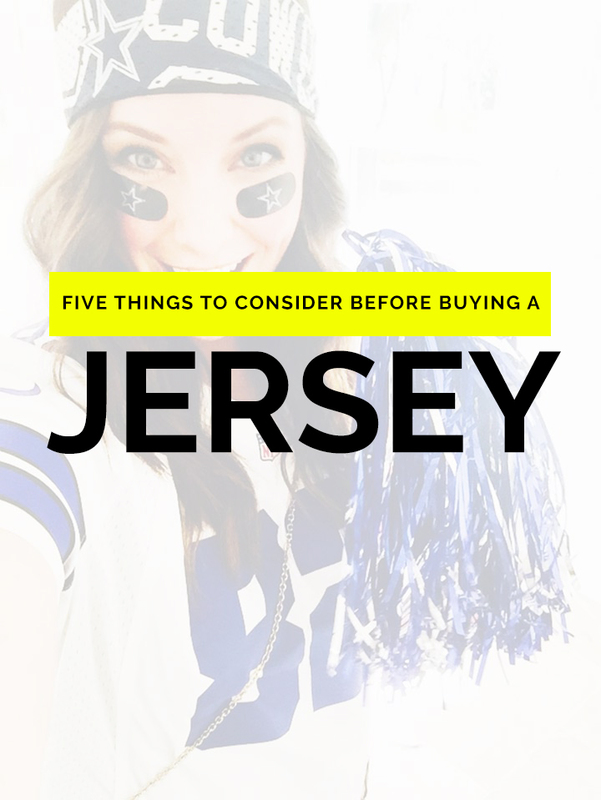 Today (so you don't get burned like I did) I thought I'd share some tips that you should read before committing to a specific player's jersey. 1. Buy the superstar's jersey that everyone else has. I realize this is not nearly as fun when that person, is not in fact, your favorite player, but at least you aren't potentially throwing $$$ in the trash. 2. Buy a legend's jersey. Pick the jersey of your favorite retired hall-of-famer. Clearly they aren't getting traded and you're making a solid investment that will never be out of style. Everyone loves a legend. 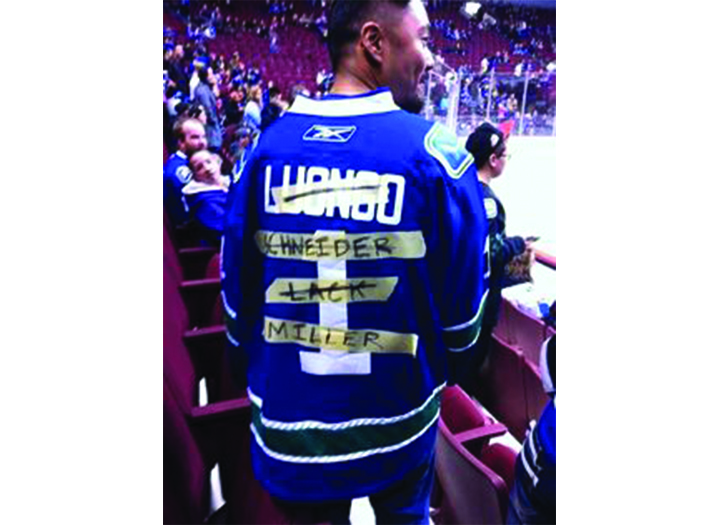 This is probably what I will do for my next jersey purchase. *Disclaimer: I DO NOT LIKE THE PERSONALIZED JERSEYS WITH YOUR NAME ON IT. You do not play for the team, no one knows who "Webb 22" is. If your heart is set on a specific player's jersey, check his contract first. This won't keep you safe from a freak trade incident, but at least you'll know if his contract is up next season. If you check and your boy will be a free agent next season, I wouldn't take the risk. Hey, screw it. If all else fails and your favorite player gets traded to the Celtics for a 48th round draft pick and a tub of vanilla ice cream... just find a creative way to tape over his name. You'll get some good laughs and probably a lot of people stopping you to take your picture. Be sure to get them to tag your brilliance on instagram. These are great tips! I'm a huge Redskins fan, and a big fan of Kirk Cousins early on. So I got his jersey before he was officially starting. Unfortunately his college number became available so he switched from 12 to 8 after I already had the 12 jersey. I still wear it anyway. My dad always likes to tell me it's a classic. Another tip if you wear a smaller size is to buy a kids jersey. I can wear a kid's large instead of a women's small, and during the off season you can find kids jerseys on sale for $30-40. That way it's not such an investment! Also why I don't have a jersey with a name on it. My husband did #1 with a new guy for the Bills and then shockingly the guy got traded!! It was totally unexpected. He was so good, they thought he'd be in for the long haul, but nope. He was super bummed. oh man this is a REALLY good point. i bought a kinsler jersey 2 weeks before he left the team. NEAT. Wow! I'm basically impressed by http://www.write-an-essay.org/college-paper/ the way you detailed out just about almost everything. It's definitely going to assist me a fantastic deal. Thanks for sharing your thoughts so clearly. I've had somewhat bad luck with jerseys lol. My dad gets me a new Panthers jersey every Christmas. One year I got Julius Peppers and he was gone by the following offseason. In 2014 I got Kelvin Benjamin and he was injured all of last year. SUCKED. Thanks for sharing your thoughts and ideas on this one. Please keep posting essay writing service about such articles as they really spread useful information.Thanks for this particular sharing. I hope it stays updated, take care. The same thing has happened to me! Every time I buy a new Tigers shirt with a name on the back, the player is either traded or retires. I'm officially convinced I'm a bad luck charm! I had a Troy Aikman Jersery. Totally loved it, but a boyfriend gave it to me so after we broke up it was hard to even look at it. My husband is from Dallas and he and my in-laws are all HUGE Cowboys fans. They have a running joke that whenever they buy someone's jersey, that player ends up getting traded or signed by another team within the year. So they've been wanting to get Jerry Jones jerseys for awhile to use the "curse" for good, but I think they're nervous about wearing them in public. I've always been worried about this. I had a Jacoby Ellesbury t-shirt because he was my favorite Red Sox player ... and then he went to the Yankees. Of all the teams! The YANKEES! The next shirt/jersey I get will be either David Price or David Ortiz. Big Papi is retiring after this year, so I'm good on that front, and Price is committed for several years (plus, he went to Vandy, so even if he leaves, I'll still want to rep him).